Learn more about author Alice McCall and her practice Healing Path. Alice McCall is a gifted spiritual teacher and healing facilitator. In her practice, Healing Path, she works successfully with serious health issues and diseases. Her unique approach of working with the mental, emotional, and spiritual connection at the cellular level sets her apart from most other holistic practitioners. Medical proof of successful transformations of serious diseases are featured in Wellness Wisdom, including Multiple Sclerosis, Stage 3 Lymphoma, Breast Cancer, and more. She works with clients over the phone and offers a variety of events via teleconference. In early 2001, Alice McCall was guided to transform herself of severe health and emotional issues. She was inspired to tackle the lifelong buildup of negative thoughts, emotions, and energy within her body. Dedicated time was spent with God's guidance self-healing the associated emotional and mental wounds at the cellular level of her body. Miraculously, her health symptoms were transformed and have not returned. This transformation made Alice look and feel younger, healthier, and more energized. It also brought forth a significant growth in her spiritual development and a sense of great peace and joy. As a result, Alice became passionate about helping others on their self-healing journey. That is why she embarked on the courageous trek of leaving a known path with a secure job as a corporate executive to the unknown path as a spiritual counselor and healing facilitator. In 2007, Alice was diagnosed with breast cancer. She courageously embarked on a journey of successfully self-healing without medical intervention. 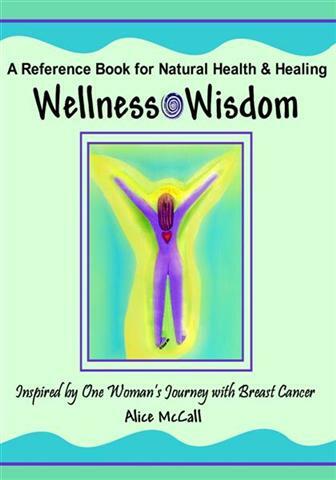 That experience led her to author Wellness Wisdom, offering an alternative view on health and healing. Alice is dedicated to offering hope to others and sharing all that she has learned during her journey with breast cancer. Along with Wellness Wisdom, she is the creator of many CDs that feature healing meditations, inspirational messages, and energy work for the body and spirit. She has hosted a radio talk show, presented keynotes, lectures, workshops, and retreats, as well as being actively sought out for radio and television interviews. Her inspirational and educational articles, talks, and interviews have been labeled a breath of fresh air. Personal interests and spiritual guidance led Alice to spend extensive time in Central and South America. These trips were a catalyst for Alice to connect with ancient wisdom, knowledge, and skills from past lives and ancestors. She credits the powerful energies of this area of the world for furthering her spiritual growth and her view on healing. Alice utilizes many diverse modalities in her work, which she does individually and in groups. She partners with Archangel Michael, St Germaine, and Archangel Raphael, as well as using healing tools like sound and colored light energy, regression therapy, inner child work, energy reformatting, guided imagery, affirmations, and spiritual guidance. Alice’s work is open-minded, practical, and easy to apply to everyday life. It synthesizes many diverse viewpoints, utilizing her extensive experience as a Cellular Level Healing® consultant, spiritual counselor, hypnotist, and many years as a corporate executive with such companies as Compaq Computer, Eastman Kodak, and BellSouth. She frequently shares her knowledge and techniques with the business community through interviews and speaking engagements. Alice is also passionate about the ability to age with health and vitality. Teaching many how to use the concepts that are outlined in Wellness Wisdom for an easy and cost effective anti-aging regimen. Alice actively sponsors peace events, works with domestic violence centers, and supports seniors in transition. Alice was educated at the University of New York (BS Psychology) and Suffolk University (MBA). She served for 4 years on the board of advisors for the Information Technology Service Marketing Association. She is certified in Hypnosis, a member of the International Association of Therapists (IACT), Reiki 1 & 2, and Quantum Touch. 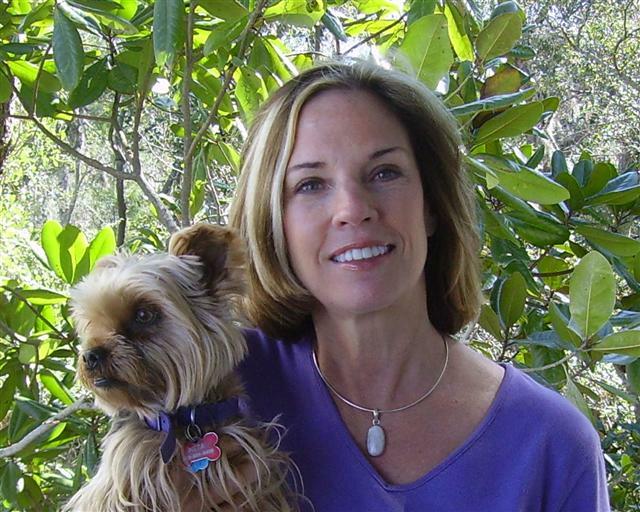 In September 2010, Alice moved from Santa Rosa Beach, FL to Hendersonville, NC with her beloved Yorkshire terrier, Keta. She is using her new location in the mountains as inspiration for her next book.